Homero Cerón was born in Monterrey, Mexico in 1957 and has played professionally since the age of 12. Educated at Wisconsin Conservatory of Music and receiving his Masters at the University of Arizona, he had been a performing artist with Young Audiences of Southern Arizona and for the Wolf Trap Institute’s Early Childhood Education Program. 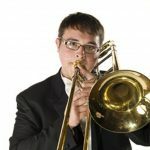 He is a percussion instructor at Pima Community College and has been guest lecturer at the University of Arizona School of Music. He has done extensive work with teachers and students. In 1996 Homero was the recipient of the You are my Sunshine Award and in 1999, he was given the Arizona Arts Award. He is also the leader of Cool Breeze, a local group active in the genres of popular and jazz music specializing in Latin American material. 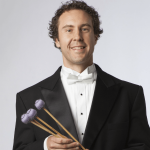 He has his own percussion studio and has performed with the St. Paul Chamber Orchestra, Phoenix Symphony, Milwaukee Symphony, Arizona Opera, Arizona Dance Theater, Ballet Arizona, Tucson Pops Orchestra, and Arizona Symphonic Winds. As a show percussionist He has played behind such artists as: Tennessee Ernie Ford, Debbie Reynolds, Marilyn McCoo, Trini Lopez, Bernardette Peters, Toni Tennille, Trisha Yearwood, Rich Little, Ray Charles, Robert Goulet,Ben Vereen, Michael Feinstein, and Tommy Tune among others. In theatre he has played the national touring shows; Evita, The Producers, Legally Blonde, Wicked, High School Musical, Radio City Music Hall, Ragtime, A Chorusline and others. Homero is an active performer in southern Arizona appearing with True Concord Voices & Orchestra, Tucson Symphony Chamber Orchestra, Arizona Symphonic Winds, Tucson Pops Orchestra, and Pima College Wind Ensemble. The Voice of an Angel is a trio project that Homero started in the fall of 2010. It features Amilcar Guevara on piano and Geoff Hamilton on String bass. This group fosters the acoustic setting using marimba as its center of sound. The repertoire is primarily traditional Latin-american music of different genres including “new tango” as well as some Italian baroque and French music.